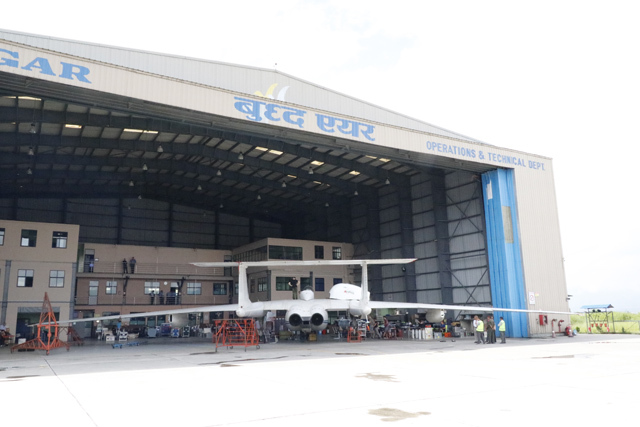 Forty of the world’s top atmospheric scientists were busy on Friday at Kathmandu Airport calibrating their equipment and rigging it up to a strange-looking plane with such a wide wingspan that it doesn’t fit inside the Buddha Air hangar. 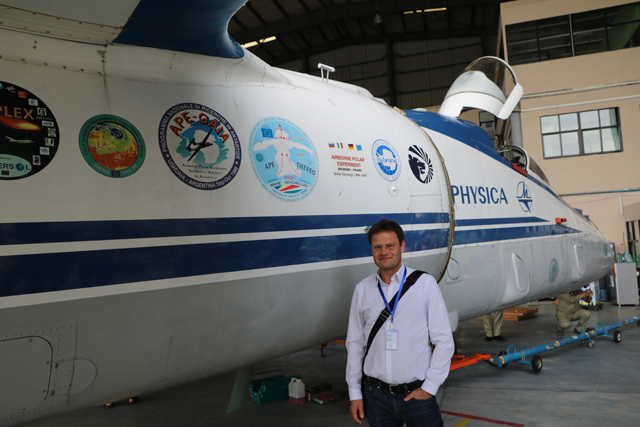 They are part of StratoClim, a European project to study aerosols and dust particles in the stratosphere above the Himalaya, and how it affects the South Asian monsoon. They have rented a converted Soviet spy plane, the M55 Geophysica, that can fly 25km up and has been used to study the atmosphere all over the world. Scientists have found that the Himalaya is the only region where such particles go as high, and think they may be sucked up by the low pressure created by the intense heat over Northern India at the start of the monsoon. However, the particles also affect the progress of the monsoon, and may impact on weather across the globe. Says Rex: “What we want to see is how much of this is aerosol or natural mineral dust, and how much is industrial pollution.” The M55 aircraft, which looks like the American U-2 spy plane, bristles with sophisticated sensors that can collect individual aerosol particles at more than 21,000m above sea level to analyse them with onboard spectrometers to pinpoint their origin. The M55 Geophysica, that the scientists have rented. 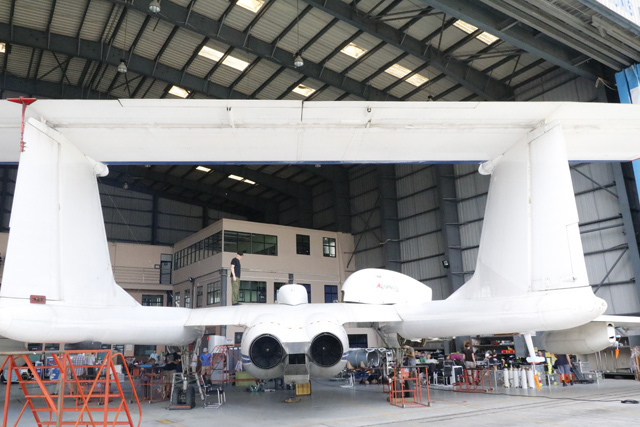 It can fly 25km up and has been used to study the atmosphere all over the world. If the findings show a large concentration of chemical pollution, scientists will then want to know how it is blown all over the world, if it is affecting monsoon precipitation so that Asian countries can take steps to clean up emissions. Reseearchers at the Kathmandu-based ICIMOD have been studying wind-blown cross border pollution in South Asia at lower altitudes, and have found evidence that the deposition of soot particles on the Himalaya adds to snow already melting from global warming. But StratoClim is interested in pollution at a much higher elevation. 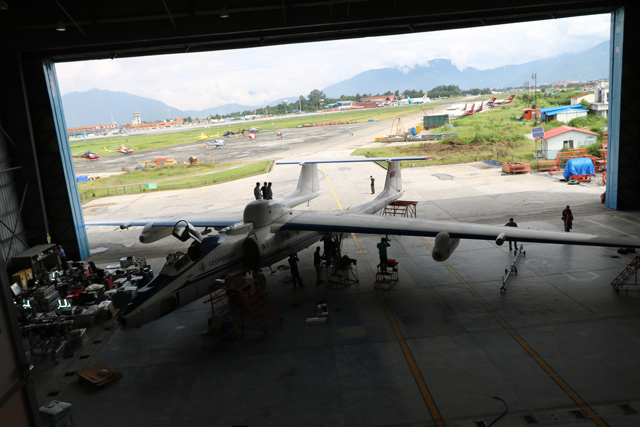 It will fly the high-altitude plane in carefully planned routes above Nepal’s air-space four hours at a time till mid-August, taking samples of air from the edge of the stratosphere and anlaysing them. The data will be used for computer modeling of monsoon systems by scientists from Germany, France, Italy and the United States. The plane will be flown by Oleg Shchepetkov, a test-pilot with type rating for dozens of Soviet-era military planes. He will be dressed in a space suit to be able to survive decompression at high altitude, and the M55 can only accommodate one pilot since the rest of the plane is taken up by equipment. Who are the people that it effects.